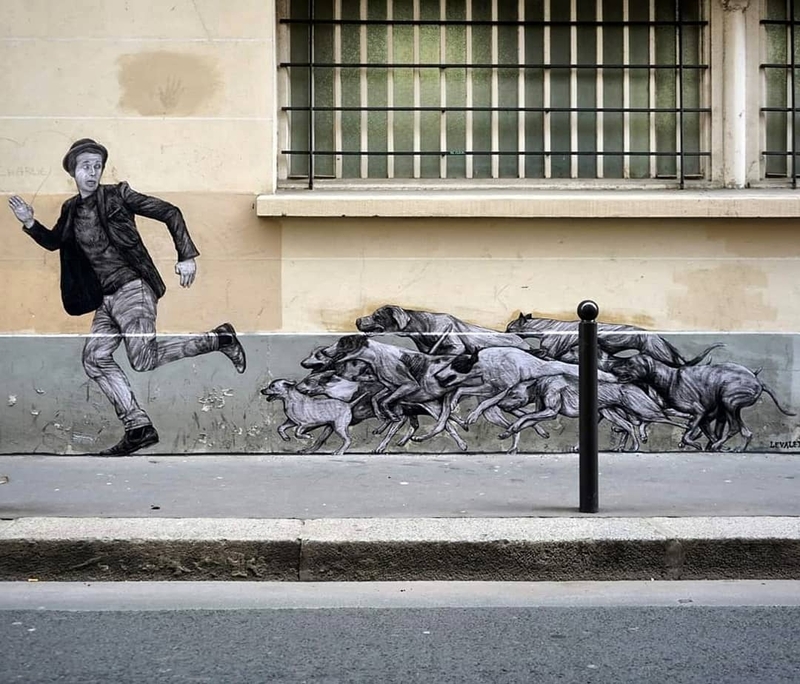 Paris, France: new mural by French street artist Levalet. 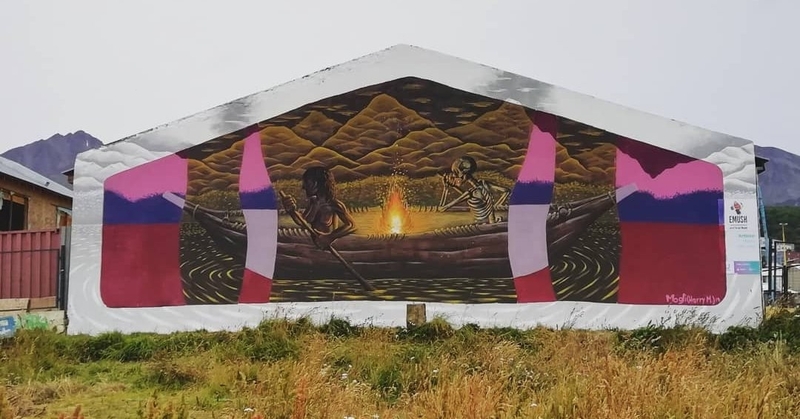 Ushuaia, Argentina: new mural by Harry Montec for EMUSH curated by Ushuaia Municipalidad. 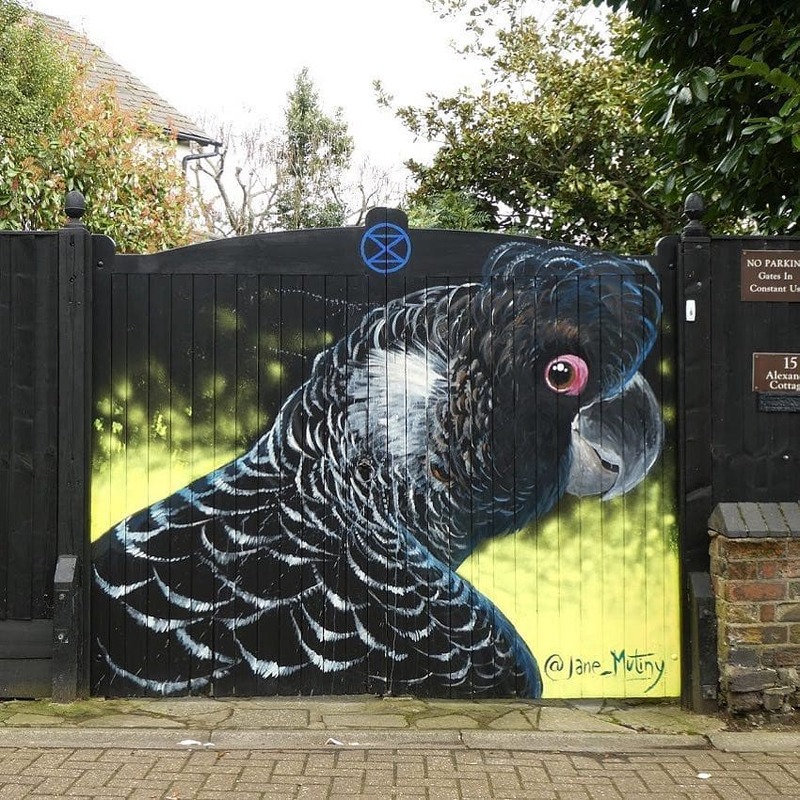 London, UK: new mural by Jane Laurie for Spray Exhibition 20 curated by London Calling Blog.